At a crucial period in history, the fact is that a group of Jews in political circles succeeded in secretly orientating the foreign policy of the United States and thereby played a role of the utmost importance in determining the turn of events in Europe. In other words, as a result of their activities, the whole strength of the United States at the height of the war was placed at the service of Israel’s revolutionary interests and ideology. Vicomte Léon de Poncins (1897-1975) was one of the foremost experts on Judaism and Secret Societies. His prolific writing on the subject spanned half a century. His work was never speculative, but faultlessly and academically documented throughout. 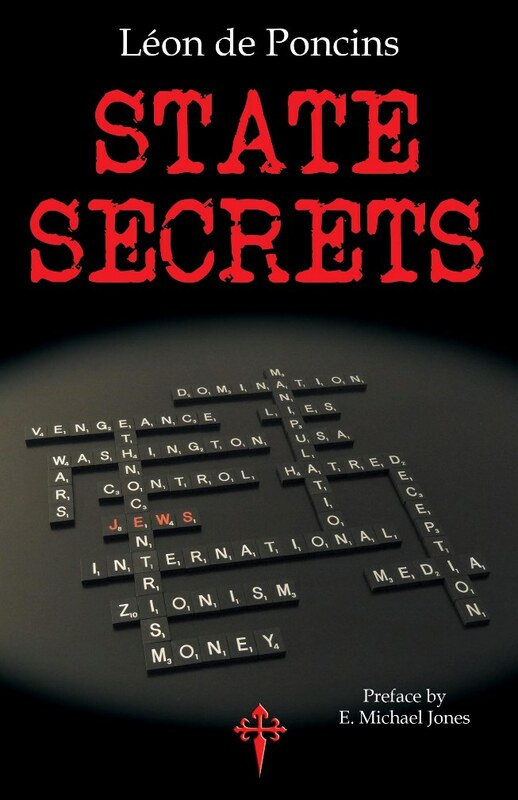 In this book, which has been out of print in English since it was first published in 1975, he presents shocking evidence of the Zionist grip on the governments of both America and Britain throughout the twentieth century, and especially in planning and unleashing two devastating World Wars. These facts have been thoroughly suppressed in mainstream books of History, though that is unsurprising in an age where Truth is to be found in the shadows. If the world had heeded Poncins in 1975, it would have been spared the disastrous series of wars for Israel in the Middle East that have been the mainstay of American foreign policy. This study is as relevant today as ever. Not just for the historically interested, but for all those who seek to understand the real agenda behind the Perpetual Wars for Perpetual Peace and Democracy.